Only a few days after the surprising LeSean McCoy-Kiko Alonso trade between the Eagles and Bills, we have another high profile inter-conference deal, this one being between the Bears and the Jets. 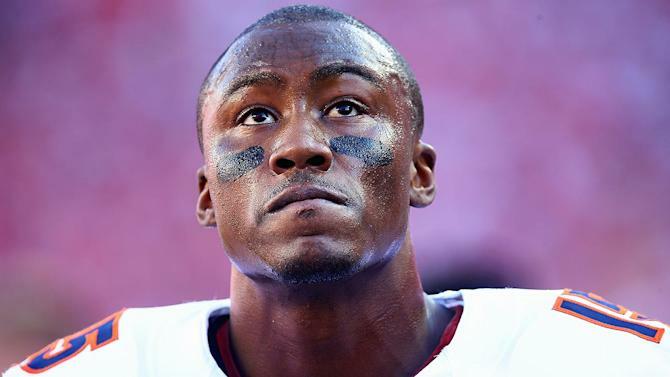 Brandon Marshall is headed to Florham Park for a fifth-round draft choice, making the Jets his fourth team in six years. Let's break this move down. Here is my latest NFL mock draft for 2015, with some changes from last week's edition. Enjoy. A media story that broke on Tuesday that may have gone a little under-the-radar was the announcement that Rick Neuheisel, former Colorado, Washington and California coach and Pac-12 Networks analyst, will be joining CBS Sports as a college football studio analyst this fall while also contributing to CBS Sports Network. This news came the same day as Spencer Tillman, who has been in the CBS Sports college football studio since 1998, tweeted that he would no longer be with CBS. Let's break it all down. If you are in the Sioux Falls area this weekend, you will definitely want to check out the 2015 Summit League Tournament. After last year's tournament featured only seven teams, the addition of Oral Roberts, who left the conference in 2012 for the Southland Conference, brings the conference back to eight. The two conference favorites this year, North Dakota State and South Dakota State, have combined to win the last two conference tournaments but could we see somebody pull the upset this year? Here are my predictions for the 2015 Summit League Tournament. Mike and Ben enter overtime to talk basketball and college as the madness is just about ready to begin. The conference tournaments begin after the Friday show and who are the teams to watch out for to make their final push to make the dance...American U? We answer email regarding llamas, dresses and the downfall of society and why the MLB rule changes will make baseball more fun. The 2015 Colonial Athletic Association Championship kicks off this Friday night in Mobtown. The conference as a whole is not as strong as it used to be but that does not make that the conference tournament will not be a fun one, considering that there was a four-way tie for first place. Who will get the automatic bid to March Madness? 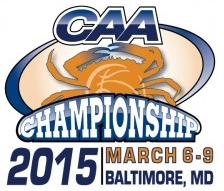 Here are my predictions for the 2015 CAA Championship. The 2015 Southern Conference Championship kicks off this Friday in Asheville. The conference has been in a little bit of upheaval since last year's tournament as four teams have left the conference (Appalachian State, Davidson, Elon and George Southern) while three programs have joined the conference (East Tennessee State, Mercer and VMI). Defending champion Wofford is the favorite but unlike last year when they pulled the upset as the third seed, this year they are the top seed. Will they pull off the title or will somebody like a Chattanooga or somebody else get to the NCAA's? Here are my 2015 SoCon Tournament predictions. We are inside of two weeks until Selection Sunday and so we can start to taste the greatness that is March Madness. The CBS/Turner consortium returns to cover every game on the networks of CBS, TBS, TNT and truTV once again and we now have the commentator teams for their coverage. Let's take a look. With the 25th anniversary of Arch Madness kicking off this Thursday on St. Louis, all observers are hoping for a matchup of the two top teams by far in the conference, Northern Iowa and defending champion Wichita State matching up in the championship game this Sunday on CBS. But as we have learned over the years, the action is always unpredictable in St. Louis for this tournament, and we know that all eight other programs will be gunning for that auto-bid. That's why they call it Arch Madness, right? Here are my predictions for the 2015 Missouri Valley Tournament. The 2015 Metro Atlantic Athletic Conference Tournament kicks off this Thursday in the great town of Albany, their first time hosting their conference tournament in the New York capital since 2010. Last year's tournament saw an end to the prior parity seen in the conference tournament as it was the first time since 2010 that the top seed made it to the championship game. But of course, the top seeded team, Iona, fell to Manhattan in the championship, meaning the streak of the top seeded team not winning it all continues. Can Iona break that trend this year or will somebody pull the upset? Here are my predictions for the 2015 MAAC Tournament. Trades in the NFL are not as common as they are in other sports and a straight up player-for-player deal is even more uncommon. And yet, we saw a blockbuster of a deal of that sort with the Philadelphia Eagles trading LeSean McCoy up to Buffalo in exchange for linebacker Kiko Alonso, as first reported by Adam Schefter of ESPN. It was a stunning and bold move by two teams that came up shy of the playoffs in 2014, and one that does come with some risk for both sides. 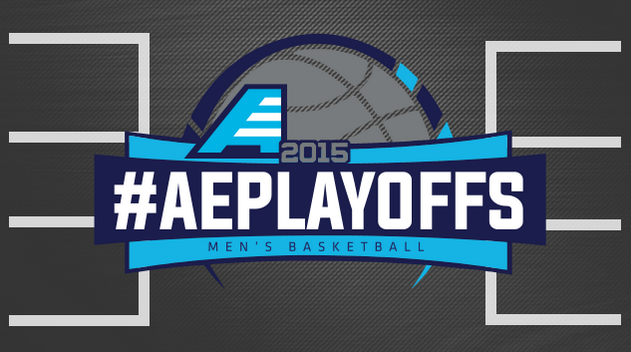 The 2015 America East Tournament commences this Wednesday evening. Two-time defending tournament champion Albany but unlike the past two years when Albany won the tournament as the fourth seed, this time Albany is the top seed. The tournament formed has changed to the higher seed hosting throughout unlike in the past when a selected school would host the first two rounds, giving one school an advantage (with Albany surely taking of it the last two years). With all of that in mind, here are my 2015 America East Tournament predictions. The 2015 Northeast Conference Tournament will kick off this Wednesday. The NEC is a little unique in that they reseed their conference tournament after the quarterfinals (the America East does the same thing). St. Francis Brooklyn looks like the favorite heading into the tournament but hey, you never know what can happen in these tournaments. Here are my predictions for the Northeast Conference Tournament. 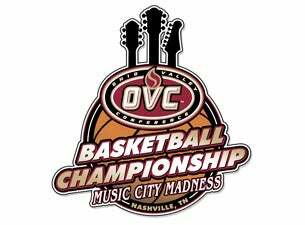 The very first team in the 2015 NCAA Tournament will be the champion of the Ohio Valley Conference Tournament and will be crowned on Saturday night in Nashville. There is one clear-cut favorite in the OVC and that is Murray State. The Racers swept through conference play as they went a perfect 16-0, and they have not lost since November. They feature one of the top offenses in the country and are led by sophomore guard Cameron Payne and senior forward Jarvis Williams. Of course, we know that these conference tournaments can be tricky even for favorites (whether or not that is argument for traditional one-bid conferences to have tournaments can be discussed at another time), so will Murray State come out on top or will somebody else steal the bid? Here are my 2015 Ohio Valley Conference Tournament predictions. The 2015 Patriot League Tournament kicks off on Tuesday night. While the conference does not seem to be as top-heavy as it has been in years past with top-seeded Bucknell only having a record of 18-13, the history of the tournament (the tournament champion has never been lower than the second seed) means that the safe money will be on Bucknell or Colgate getting the conference's automatic bid. Of course, we know that relying solely on past history could be dangerous. All of that in mind, here are my predictions for the Patriot League Tournament. FR enters into Overtime as we are joined by CJ Posey, east-coast hip hop artist who tells us about his new music and Nas-like motive of story-telling through his music. Mike and Ben breakdown Joey Logano winning the Daytona 500 and the Busch brothers grim. With the NFL Combine come and gone, Flo talks mock draft and if Jameis Winston has changed after the humbling experiences and Flo tells stories from fire alarms and covering his first AU Women's Basketball game. 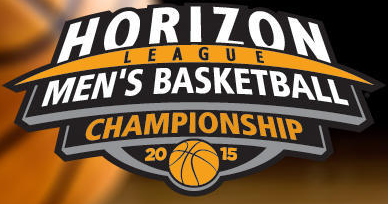 The Horizon League kicks off their men's basketball tournament on Tuesday evening. Last year's tournament was defined by upsets with neither the top two seeds making the championship game and a fifth-seeded Milwaukee team winning the conference's auto bid to the NCAA Tournament, becoming the second-lowest seed and only the third team seeded lower than third to take the title. Will we see something similar or will the conference favorites in Valparaiso or Green Bay take the title? Here are my predictions for the 2015 Horizon League Championship. Believe it or not, the calender has hit March and that means that March Madness is right around the corner. However before we get to the NCAA Tournament, we have to get through the conference tournaments. The Atlantic Sun Conference is one of three conferences to get their tournament underway on Tuesday and will be crowning a champion on Sunday which will be one of the first teams in the 2015 NCAA Tournament. Given that the Atlantic Sun champion has pulled upsets in the last two NCAA Tournaments (Florida Gulf Coast in 2013 and Mercer last year), could we see something similar this year? Here are my predictions for the 2015 Atlantic Sun Tournament.